The Oera Linda Book is a controversial Frisian manuscript covering historical, mythological, and religious themes that first came to light in the 19th century. Modern linguistic analysis has argued that the book is a hoax (Breuker, 1980, Jensma 2002), while the overall themes presented within the text have led some to consider it genuine. The Oera Linda Book, known in Frisian as Thet Oera Linda Bok, came to light in 1867 when Cornelis Over de Linden (1811-1874) handed the manuscript, claimed to have been kept in the Over de Linden family for generations, over to Eelco Verwijs (1830-1880), the provincial librarian of Friesland, for translation and publication. Verwijs rejected the manuscript, but in 1872 Dr. Jan Gerhardus Ottema (1804-1879), a prominent member of Frisian society for History and Culture, published a Dutch translation. The book was subsequently translanted into English by William Sandbach in 1876, and published by Trubner & Co. of London. Over de Linden claimed to have inherited the manuscript from his grandfather, via his aunt. The manuscript was originally thought to have been writen in Old Frisian but according to Jensma "the syntax of this artificial language proves to completely in line with modern, read : 19th Dutch/Frisian" and included "linguistic delicacies like the hundreds of puns, popular etymolgies and funny words that were derived from almost every modern European language. When they were weary, the folksmothers for instance could retire to their 'BEDRVM' (bedroom) ". The current manuscript carries to date of 1256. Internal claims to suggest that it is a copy of older manuscripts that, if genuine, would hve been written by multiple people between 2194 BC and AD 803. Themes running throught the Oera Linda Book include catastrophism, nationalism, matriarchy and mythology. The text allages that Europe and other lands were, for most of their history, ruled by a succession of folk-mothers presiding over a hierarchical order of celibate priestesses dedicated to the goddess Frya, daughter of the supreme god Wr-alda and Irtha, the earth mother. 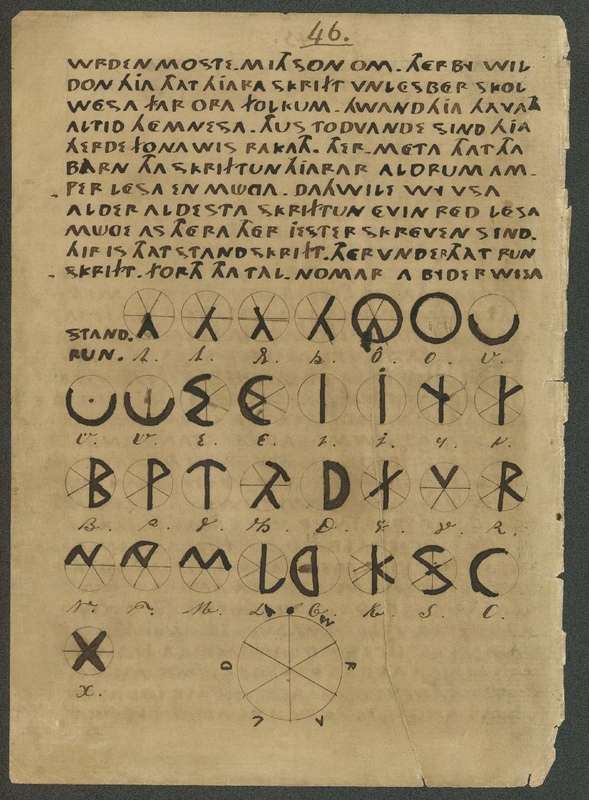 The claim is also made that this Frisian civilization possessed an alphabet which was the ancestor of the Greek and of the Greek and Phoenician alphabets. The earliest portion of the Oera Linda Book, namely Frya's Tex, was supposedly composed in 2194 BC, whereas the most recent part, the letter of Hidde Oera Linda, dates to AD 1256. Almost half of the entire book comprises The Book of Adela's Followers, the original text around which the rest grew. It is said to have been compiled in the 6th century BC from a mixture of conteporary writingsand ancients inscriptions, thought none of this alleged source material has survived, nor any reference to it aside from the Oera Linda manuscript. The last two sections of the Oera Linda Book, the writings of Konered and Beden, contain a number of lacunae; indeed, the book itself breaks off in mid-sentence. 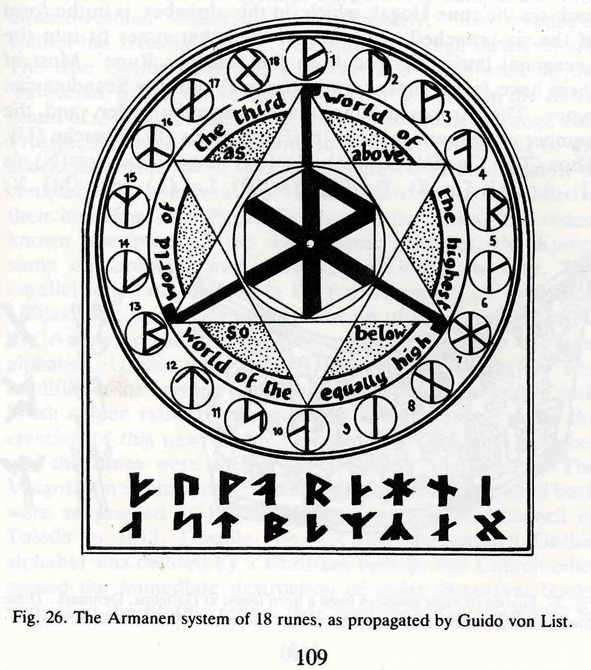 The authenticity of the book is supported by at least some Neo-Nazi groups, possibly because it indicates a Northern European origin a several Middle Eastern civilisations. This despite the fact that the book itself heavily criticises the ancestors of the Germans as uncouth barbarians. The book has also received interestfrom feminist and New Age groups and is commonly quoted in books about Atlantis. 0 Response for the "The Oera Linda Book"